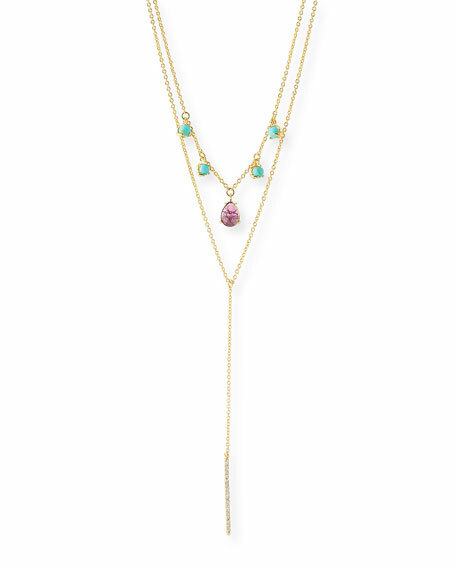 Double necklace with stone dangles by Tai. Polished yellow golden plating over brass. 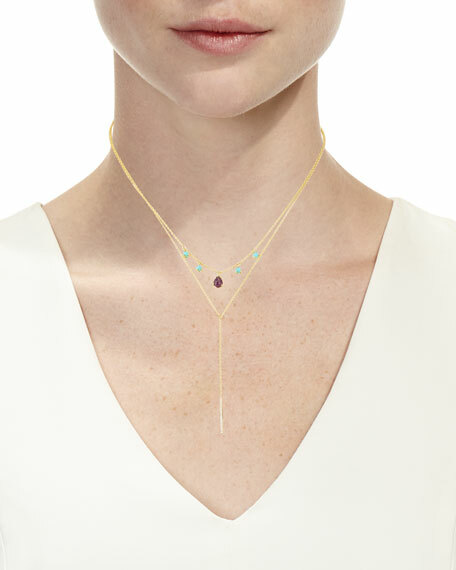 Two strands with stones and lariat drop. Cubic zirconia, turquoise and glass.